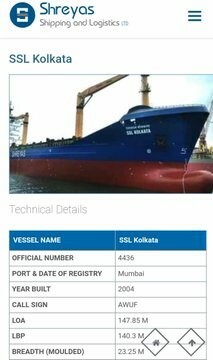 Merchant vessel SSL Kolkata had been abandoned by the 22 crew members on June 14 off the Sagar Island at the mouth of the Ganges Delta after the fire engulfed 70 percent of the ship. 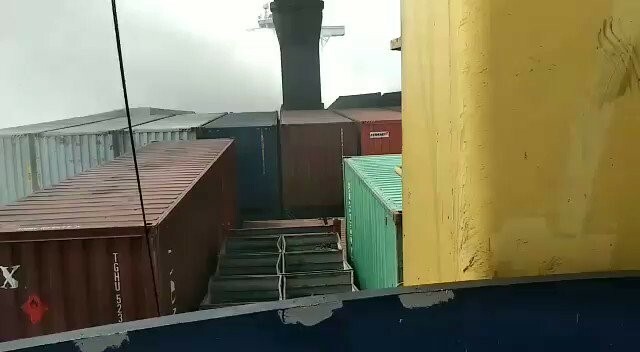 New Delhi: In a daring operation, a Seaking 42 C helicopter from the Eastern Naval Command winched down one Marco officer on the ill-fated merchant vessel SSL Kolkata which had been on fire since the last two days. The marine commando officer ascertained the conditions in the forward part of the ship and later called in the helicopter to lower onbord three crew members of the ship. The team managed to drop the starboard anchor from the ship to prevent her from drifting any further. 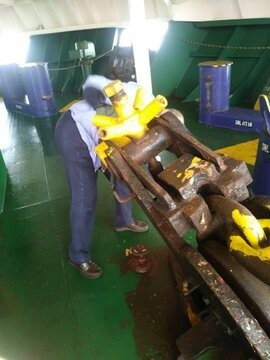 Thereafter the team prepared the seamanship gear for the ship to be towed if required. 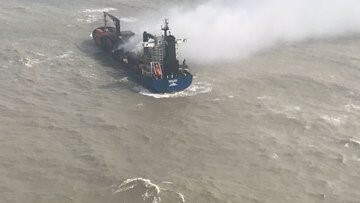 The vessel had been abandoned by the 22 crew members on 14 Jun18 off the Sagar Island at the mouth of the Ganges Delta after the fire engulfed 70 per cent of the ship carrying containerised cargo in the Bay of Bengal. The nature of the threat was evident from the explosion on board in the forenoon which restarted the fire. 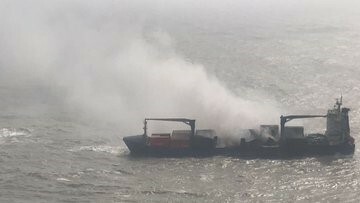 “The marine commando officer ascertained the conditions in the forward part of the ship and later called in the helicopter to lower on board three crew members of the ship,” the Navy said in a statement. “The team managed to drop the starboard anchor from the ship to prevent her from drifting any further. Thereafter, the team prepared the seamanship gear for the ship to be towed if required,” it added. Earlier, vice admiral Karambir Singh, flag officer commanding-in-chief eastern Naval command, had directed that the ship’s drift towards the Sundarbans delta had to be stopped at all costs notwithstanding the high temperatures on board to avoid an ecological disaster should the ship capsize on the sandbanks causing pollution from oil on board. Accordingly, a Sea King 42C helicopter and a Dornier aircraft were dispatched from Visakhapanam with a core team comprising divers, Marcos, shipwrights and seamanship specialists to stage through the IAF airbase at Kalaikonda. Indian Navy Ship Kadmat, which was exercising in the Bay of Bengal on June 15, was also directed to proceed and arrived on site at first light on Saturday morning to augment the onsite support wherein the Indian Coast Guard ships were standing by. The operation successfully managed to arrest further drift of the ship to enable salvage operations.